Paul McCartney, the workaholic of the group, got the Beatles together again in early 1969 to record a new album, raw and stripped of production. The Beatles did not want George Martin producing this album since it was intended to be reminiscent of their less polished, earlier days of rock and roll. Although the Let It Be sessions were completed during the month of January 1969, the album was not released until May 8, 1970. Since the Beatles weren’t getting along very well, once the sessions were completed it was a relief to all. As a result, they left all the tapes in storage for over a year, until they decided to ask Phil Spector to produce the album. As a result, Abbey Road, which was recorded months after Let It Be, was actually released before the Let It Be album, making Let It Be the last of the Beatles albums to be released. In 2003, a slightly different version of Let It Be was released called “Let It Be… Naked”. Paul McCartney was very unhappy with the original release of “Let It Be” that Phil Spector produced. For example, McCartney never wanted female voices to appear on “The Long and Winding Road.” He wanted to release a stripped-down or “naked” version of Let It Be. Paul finally got his chance to “re-do” Let it Be and “Let It Be Naked” is the result. The CD contains 11 songs arranged in a different order than the original album. “Maggie Mae” and “Dig It” were removed and “Don’t Let Me Down” was added. An additional disc of recorded conversations was included with the CD called “Fly on the Wall”. 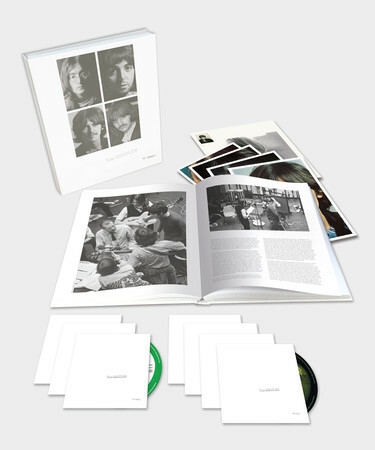 It is described as “a unique insight into the Beatles at work in rehearsal and in the studio during January 1969.” It includes partial songs mixed in with conversations between The Beatles during the recording sessions. Paul McCartney wanted to tour again, but John, George and Ringo weren’t interested. The compromise was to film a documentary of their recording sessions. It was during these sessions that George Harrison walked out and quit the group temporarily. He was fed up with being dictated instructions from Paul. A few days later, he returned. It was also during these sessions that the Beatles made their last public performance together as a group. On January 30, 1969, they perform a mini concert around lunchtime live on the rooftop of Apple’s Savile Row headquarters. They perform for 42 minutes until the police come and stop the show due to noise complaints. From 30 days of recording sessions, 28 hours of film were shot and over 100 hours of music were recorded. Of the roughly 70 new and old songs recorded, only 12 made it on the album with dozens showing up on countless bootlegs over the years. The film, Let It Be, is a raw account of how the Beatles’ relationship as friends and musicians was disintegrating. The film premiered in May 1970 and none of the Beatles attended the premiere. The movie was released on VHS in the early 1980s, but was never officially released on DVD. Numerous bootlegs or unofficial copies of the film have been circulating ever since. By April 1970, John, George and Ringo had all previously proclaimed they “quit” the group over the last year or so, but they came back for one reason or another. Paul was the only Beatle who wanted to keep the band together at that point, but when he sensed that there was no hope, he decided to release a statement announcing the obvious–that the Beatles were breaking up. Included in the press kit for his first solo album, McCartney, Paul included a set of questions that he created for himself to answer regarding the status of the Beatles. His answers expressed that he was estranged from the Beatles and would work on his own in the future. The press picked up on it and ran headlines on April 10, 1970 that Paul was quitting the group and the Beatles were through. John was furious that Paul was the one to announce to the world that the Beatles were breaking up after he was ready to leave months before. To legally end the group, Paul asked John, George and Ringo to let him out of the contract with Allen Klein. They refused. This led Paul to sue the other three Beatles to end his legal association with them. On December 31, 1970, Paul files a suit against John, George, Ringo, Allen Klein and Apple to officially dissolve the band. This led to some bitter name-calling in the coming years between John and Paul evident in their solo albums. Finally, on Jan. 9, 1975, a judge rules that the Beatles as an entity no longer exist. Of course, the world was shocked when the Beatles broke up. It was the end of an era. For years to come, people would always yearn for a Beatles reunion and the press would always ask the ex-Beatles about any chance of a reunion whenever possible. 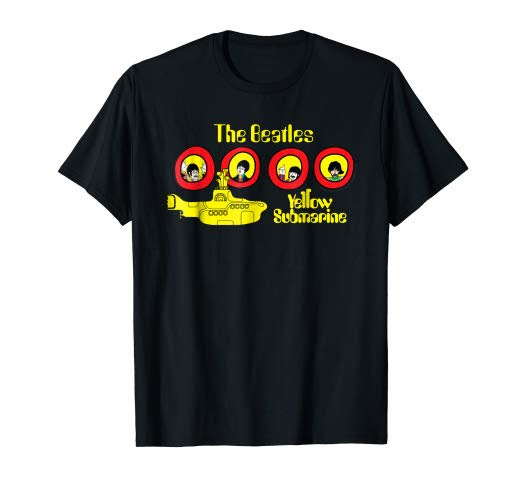 Everyone knew that the combination of the four Beatles together was a once-in-a-lifetime occurrence. Even though all four members went on to establish themselves as successful solo artists, it wasn’t the same. The energy and creativity that was created when these four men worked together was magical. It was sad that the ending of the group became a bitter entanglement focused on money and legalities. But the truth was that the brotherhood of these four men had dissipated. They had grown up together and had grown creatively together, but with all the talent between them, they were eager to each pursue their own interests. They each wanted total control of their creative endeavors, and they each went off in slightly different directions. Because the four members of The Beatles wouldn’t settle to remain stagnant in a group that had run its course, John, Paul, George and Ringo were all eager to move on with their lives, continue to grow, continue to learn, and continue to create. They could accomplish this better, in their opinion, as four individuals. While the band was officially together from 1962 to 1970, the Beatles obviously were a huge success, but no one realized what a rarity they really were. Since the rock and roll era was relatively new at the time, people were waiting for the “next” Beatles to arrive. The difference between a great band and a musical phenomenon is that a great band produces great music, but a phenomenon goes further to influence a multitude of cultural outlets such as art, photography, literature, fashion, politics and belief systems. As a result, the Beatles’ phenomenon has kept growing and growing ever since the group disbanded in 1970.